MEXICO CITY (CNS) — Central American migrants traveling through Mexico routinely stay at a Catholic-run shelter in the Isthmus of Tehuantepec. But guests at the Brothers of the Road Shelter have been pitching in with relief efforts ever since a magnitude 8.1 earthquake stuck the region Sept. 7. The earthquake struck just before midnight Sept. 7 with an epicenter of the coast of Chiapas state. 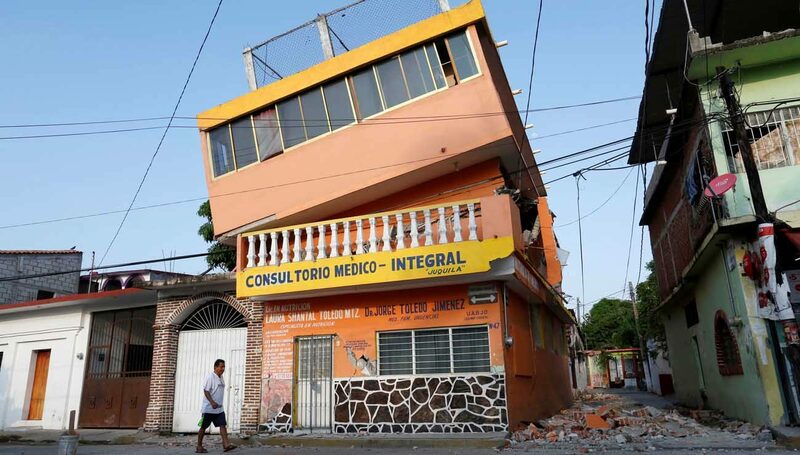 It caused buildings to sway in faraway Mexico City, but did not do major damage there. It did, however, destroy homes and building across the southern states of Oaxaca and Chiapas and claimed the lives of 96 people. Caritas chapters organized collections across Mexico to help with the homeless in the country’s southern states. The earthquake damaged an estimated 80 percent of the homes in Juchitan, a municipality adjacent to Ciudad Ixtepec, where the Brothers of the Road shelter is located, according to the Oaxaca state government. Shelter guests have formed teams, shown in photos posted to Facebook, traveling to towns throughout the region and helping families retrieve items from the rubble of their homes, such as kitchen articles, electronics and keepsakes. The Brothers of the Road shelter has not always had an easy time in its mission of serving migrants, who used to arrive atop a train known as “La Bestia” for the way it would maim those falling under its wheels. The shelter’s founder, Father Alejandro Solalinde, was forced into exile for a period after receiving threats from organized crime gangs, which kidnaps migrants, and faced persecution from politicians in the area unhappy with his work. Damage in the area is so severe that press photos showed Bishop Oscar Campos Contreras of Tehuantepec celebrating Mass outside the diocesan offices due to all the churches in the area suffering damage. Churches in neighboring Chiapas also were damaged. Falling debris destroyed the organ in the cathedral in San Cristobal de Las Casas.